Please accept my respectful namaskara. The sacred meeting organized by you at your place yesterday will be remembered by me with great reverence and I must thank you from the very core of my heart for giving me a chance to serve the cause of the potency of the almighty God. I think you have inherited some transcendental talents by the good deeds of your past life and as such you have taken your birth in the family of the srimatam as stated in the Bhagavad-gita. God willing you shall render tremendous transcendental service in the rest of your life and by doing so you shall not only glorify the family in which you have taken your birth but also the community and the country will be benefited. Yesterday evening when we were talking at your veranda we had some talks over the advent day of Lord Caitanya which falls today the most auspicious Dol-yatra purnima day and as such I myself along with some members of my family today observing fast till the advent moment of Sri Caitanya Mahaprabhu just in the evening. Guru Maharaj Sastriji advised the members assembled yesterday to observe fast today and this is being done as a matter of course on the occasion of Gaura Jayanti day. I was so glad to hear from you that you know Lord Caitanya as the incarnation of Godhead. Yes he is so and there are ample proofs of His being so in the different Sastras such as Mahabharata, Bhagavata, Upanisads and many other Puranas. So on the occasion of Lord Caitanya's 463rd advent ceremony, I am taking this opportunity to remember about him which will help my vrata observed to-day. I hope you will not mind for intruding upon your time with this statement. 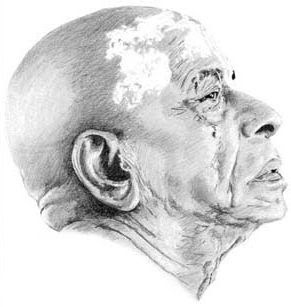 In the Srimad-Bhagavatam when Karabhajana Muni was elucidating the different incarnations of Godhead in different yugas, he said that "In the Kali-yuga the intelligent persons will worship the incarnation of Sri Krishna, by the transcendental sankirtana method. This incarnation of Sri Krishna will be non-blackish in the color of His body but will constantly chant the name of Krishna along with His many disciples who will act as the soldiers for the deliverance of the fallen souls of the Kali-yuga." Sri Krishna Caitanya preached as one of the Vaisnava acaryas like Ramanujacarya and others and His mission was to establish the same theory of deliverance as was propounded by Sri Krishna Himself in the Bhagavad-gita. In the Bhagavad-gita the Lord personally described as to the method of approaching Him, His real features, His different Potencies known as the mahamaya and the yogamaya, His virat appearance His method of creation maintenance and destruction of the material world, information of the transcendental world which does not annihilate even after the annihilation of the material world. The living entities souls, the process of migration of the souls the description of the mahatmas, their duties and lastly the duty of everybody after elaborate elucidation of the three modes of nature, satya raja tama and the different human races, work, knowledge, devotion, worship activities under the influence of such modes of nature. In the Bhagavad-gita a clear distinction has been made between the asura prakrti and daiva prakrti and He has vehemently deprecated the demonic or asuric prakrti and eulogized the daiva prakrti. The Mahamaya who is known as Durga, Kali, Candi, Bhadrakali, Mohalaksmi, etc is the embodiment of His external potency as described in the Candi and it is the thankless task of the Mahamaya to punish the asuras with Her all powerful weapons in the ten direction of the material world. She does not only create and maintain this material world but also she annihilates it according to the direction of the almighty God. In the Bhagavad-gita this Mahamaya has also been described as Daivi Maya and She is so powerful that the asuras cannot by-pass Her at any rate. The asura can get remission from the stroke of the trisula of Mohamaya when he the asura, surrenders surrenders himself to Sri Krishna the Personality of Godhead. As Superintendent of the material world the Mohamaya has been described Durga as the protectress of the great durga or fortress of the grand universes. She gives all the necessities for our existence but as soon as we become an asura like the Mohisasuras, Ravanas, Hiranyakasipus, and in later ages like the Mussolinis and such others for the exploitation of the material energy, the Durga Devi at once appears Herself with Her dreadful trident and begins to devastate the whole existence by such tribulations as war, famine, pestilence, or sometimes annihilation of a total existence. The methods of annihilation as are invented by the human brain such as the atomic bombs etc are also Her creations but the deluded asuras, who are caused to act by the modes of prakrti the material nature, do think themselves as the originator or inventor of such weapons. In that way a constant struggle is going on between the asuras and the prakrti and the asuras are thus being punished in different ways which the asuras cannot overcome by any method except by full surrender unto the almighty God. In the Bhagavad-gita the last instruction is to surrender fully unto Him the author of the Bhagavad-gita but unfortunate men of demonic mentality misunderstood the teachings of Bhagavad-gita as a method of sophistry and therefore the same Personality of Godhead Sri Krishna in the garb of a transcendental devotee preach the same techniques of Bhagavad-gita i.e. full surrender unto the almighty God or His different potencies in a demonstrative way. The method of His demonstration was also very suitable. He inaugurated the sankirtana movement accompanied with melodious song which method has been found practically very effective amongst the masses. It is not possible for the masses to study the Vedanta or to undergo the difficult mystic processes especially in the Kali-yuga when the general people is indolent, unfortunate, shortlived and always disturbed by physical and mental tribulations. So they the general mass of people are fallen in the estimation of the great saints and as such for them Sri Caitanya Mahaprabhu is the only hope for deliverance. When Sri Caitanya Mahaprabhu visited Varanasi He was invited to a philosophical discourse by the Prakashananda Sarasvati a great giant scholar and sannyasi of the Mayavadi or Sankara sampradaya and discussion was made on the Vedanta philosophy. Sri Caitanya Mahaprabhu was victorious in that discussion and converted the great sannyasi with his 60,000 followers to His cult of devotion and established His easy method of sankirtana movement the most suitable method for the deliverance of the people in general. So on the occasion of the Lord's 463rd advent day, I beg to suggest that in the guru-mandala some such preaching method as was adopted by Lord Caitanya, may also be adopted for the benefit of the general people. The upasana of yoga system as recommended by Sastriji may not be suitable for the people in general because hardly they will be able to adhere to the principles of yoga and it may be as suggested by the Rajguru Sastriji that in the default of such yogic method the performer may fall ill and thus become doomed for his life. You have encouraged your mill employees by establishing a recreation club and the amiable feelings of your employees with the benevolent proprietors as has been exhibited in yesterdays function, may be supplemented by infusing them with spiritual inspiration by the simple method as done by Lord Caitanya. In the last portion of His transcendental pastimes, Lord Caitanya lived in Puri-dhama and worshiped the Lord Jagannatha.